Decades of experience have taught us the importance of understanding each client's goals for their project and we pay meticulous attention to ensuring these are fulfilled with every mix. We don't claim to be the fastest or cheapest online mixing services available. 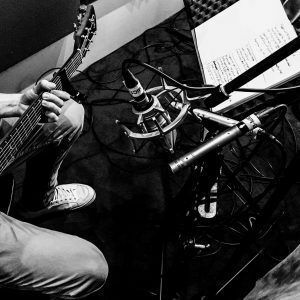 But we do make a promise – we’ll work with your tracks to make the most of them. We'll care for your project as if it was our own creation - and we'd be delighted to build a working relationship which lasts for years to come. Through a dialogue with us you will come to learn that we aren't churning out 20 mixes per day, offering a "24 hour turnaround" or "instant mastering". Instead we offer the highest quality of services; a careful, efficient and bespoke approach taken by one of us, with the backup and resources of the full takeawaystudio.com team. How do online mixing services work? After choosing a suitable package, upload your multi-track audio to our server, or via your own online storage (DropBox, Google Drive etc). The mix engineer assigned to your project will then work on your track(s) and send an mp3 of each mix for approval. If you would like to make any amendments, this is possible with some revisions included within your specified plan. Once you are happy with the mix we will send you a stereo wav file(s). How shall I send my files? The most important thing when transferring tracks from one DAW to another is to export them correctly, as multitrack audio with all processing bypassed. If possible, we would like to receive your tracks as audio files starting at the same time, same sample rate and bit depth they were recorded at. 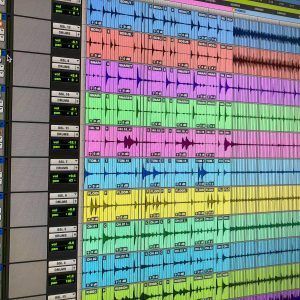 The file format should be wav or aiff and we encourage clients to include a guide mix as well. If your project was recorded at 96kHz/24bit, this is what you should send to us – if your audio was recorded at 44.1kHz/16bit, upscaling will not improve the quality of the files. In some cases it may be possible to share the DAW session, but please contact us to discuss this option. 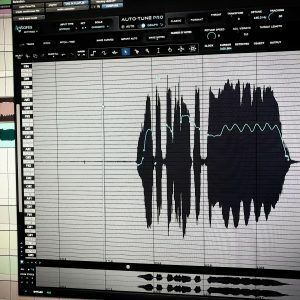 You can read about exporting tracks from your DAW for our online mixing services here. What if none of the plans fit my needs 100%? No worries! We can give you a tailored quote on request. Let's say you have 24 tracks but your drums need quantising and you don't want to go for the most expensive option. We will find the right price for you. We understand that creative work can not always be standardised by price categories. We are here to offer you our flexible individual solutions. Just Contact Us! What to do If I still have questions?